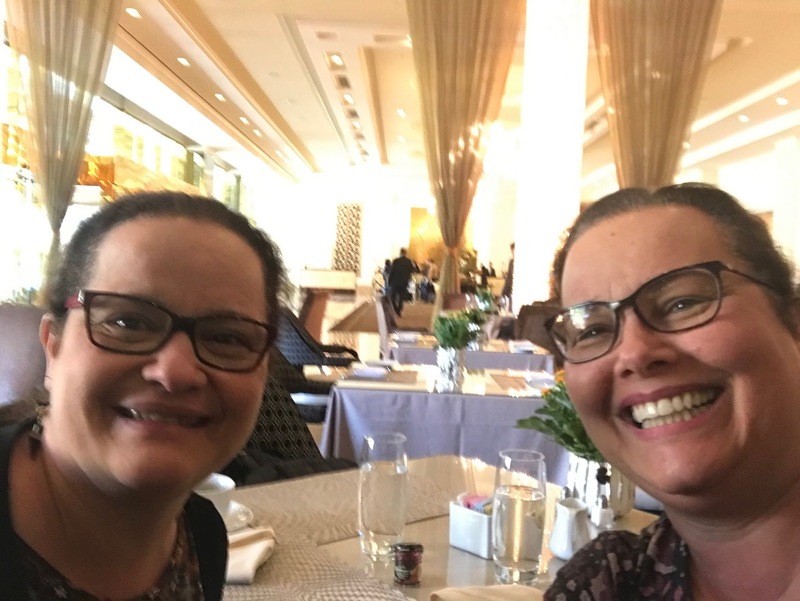 My sister Miriam is visiting me from Brazil! We are enjoying this precious (and short) time together so I have been working (and blogging) part-time only. She was last in the US 6 years ago - crazy, huh? All of you who live close to your siblings are so lucky! 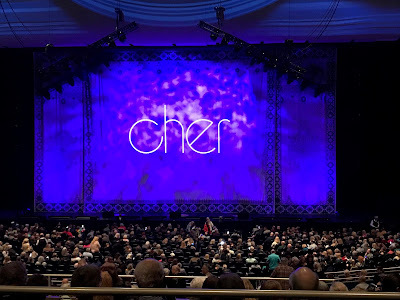 We spent a few days in Las Vegas, Nevada, and went to see Cher. What a fantastic show! Back in Utah, we have settled into a routine - working in the morning, going out in the afternoon. It is wonderful having her company and laughing with her. She is in for a surprise today. She loves wool embroidery and everything primitive, and I have a stack of books for her to peruse - she just had hand surgery and perusing is all she can do at the moment. 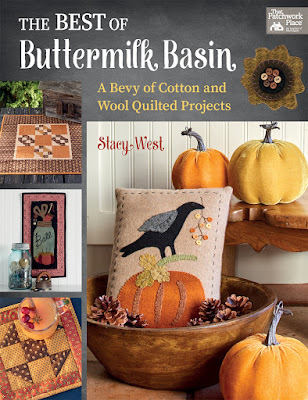 The very top book is The Best of Buttermilk Basin - A Bevy of Cotton and Wool Quilted Projects by Stacy West, published by Martingale. Have you seen it? OMGoodness! 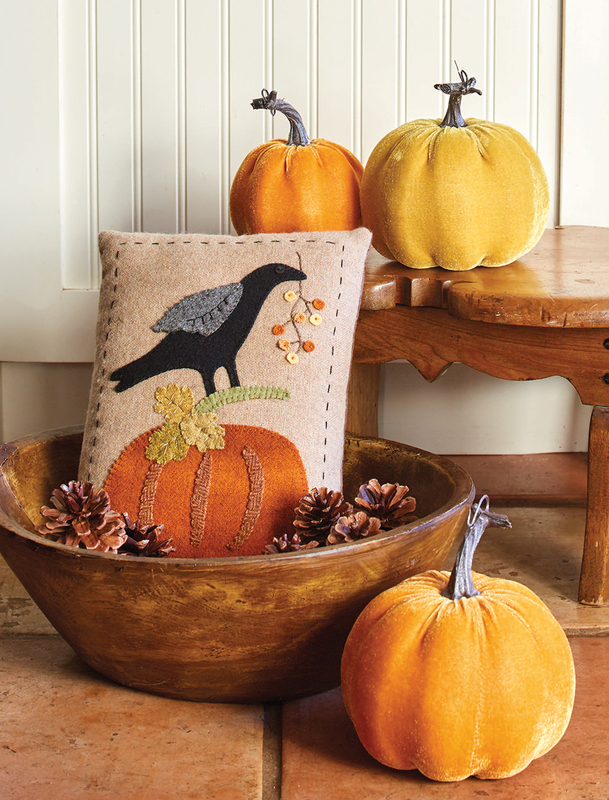 Stacy's love for wool and cotton shows through her beautiful work as she pairs it with simple embroidery stitches and trims. Just as I grew up surrounded by grandmas, aunts, and my mom who loved to cook and do handwork, Stacy was blessed with a great-grandmother, a grandmother, and a mom who loved crafts. 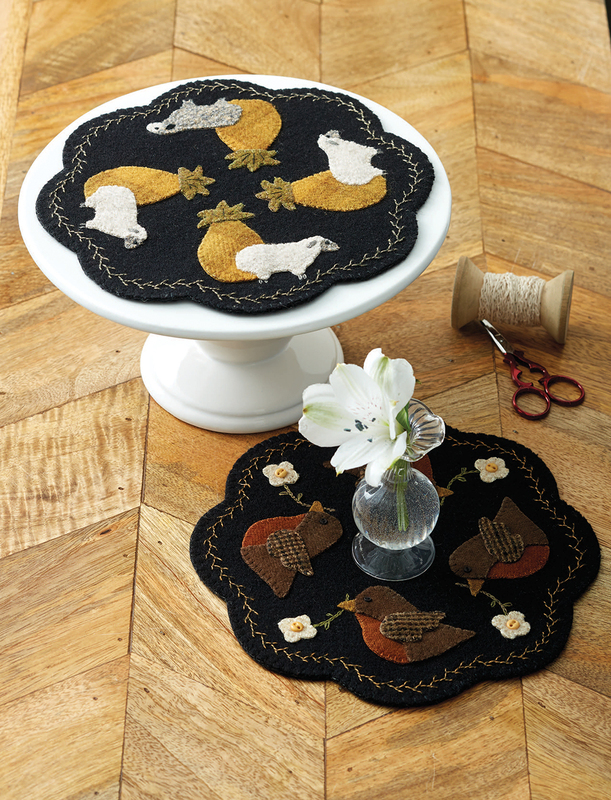 Inspired by generations of creative women and with the help of her Graphic Design background, Stacy designs wool applique' and quilted projects which invite us to share in her passion and create beauty. 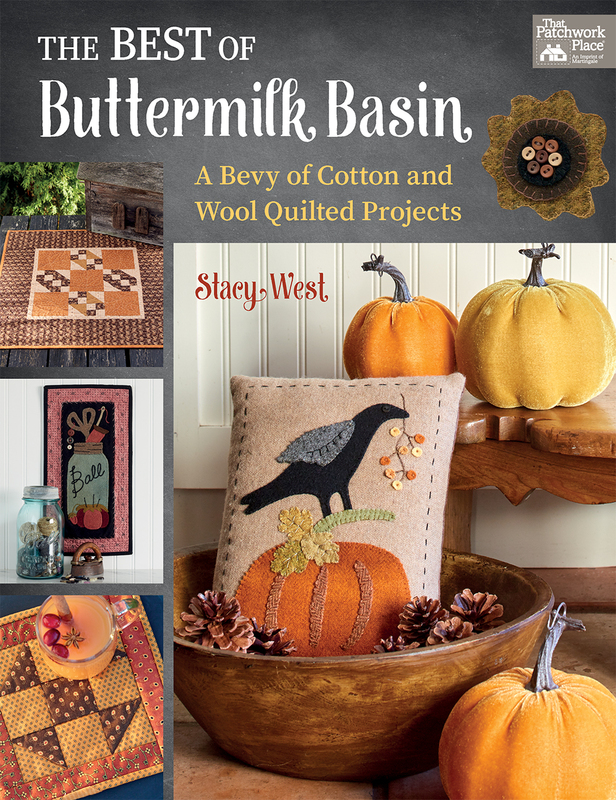 The projects in The Best of Buttermilk Basin will add warmth, whimsy, and a touch of seasonal cheer to your (or a friend's) home decor. 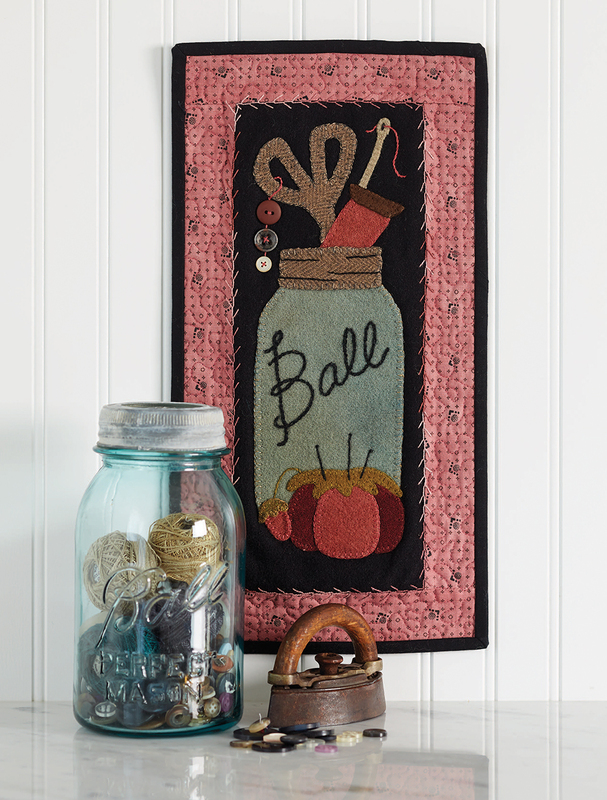 Approachable in size and ease of execution, the small quilts and pillows, mug rugs, penny mats, and wall hangings benefit both the maker with hours of relaxation and the receiver who gets a handmade-with-love gift. I did love to read all the tips Stacy gives us with each project, as well as the "Wool Applique', Embroidery, and More" section where I got the skinny on her favorite tools and working methods. Learning from the pros is the best! This is the season to be thankful for all our blessings. 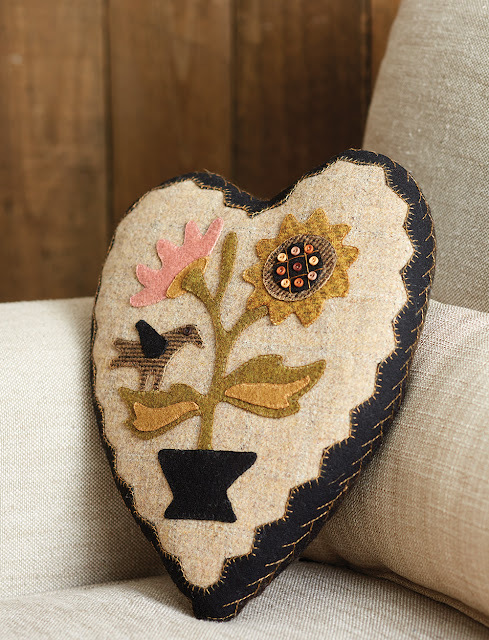 The Best of Buttermilk Basin has 14+ projects to help us do just that: as we interpret its projects with our own fabrics and stitches, we remember some of the things in our lives which mean the most to us - nature, friendships, home, and family. Speaking of family, Miriam will wake up soon. We will have breakfast together, get a little bit of work done, and then have fun together the rest of the day. Happy Thanksgiving to all of you, and thank you for being in my life, too. How lovely it is to have your sister come and visit. That is quite a distance to travel. The wool projects are just gorgeous. I have not done much wool work. Oh... but they are so easy and fun! I always use whipstitch with wool as I am not very good with handmade blanket stitch. Then, just add some simple embroidery and you are done!